As 2017 snowballs to a close, here’s a good news property story to fire up your festive spirit. Recent reports have indicated that first home buyers have risen by a third in the 12 months to September meaning a large number of buyers have bought their first home just in time for Christmas. The Housing Affordability Report produced by the Adelaide Bank/Real Estate Institute of Australia, revealed that the number of properties purchased by first home buyers has increased by “22.8% for the quarter and by 32.6% over the twelve months with the largest increases being in New South Wales (57.7%)”. It’s not Father Christmas gifting buyers their first home, this increase can be attributed to some recent changes in the property market, which have ultimately improved housing affordability in all states and territories across Australia. Many of these changes stem from APRA sanctions introduced at the end of March 2017, where the flow of new interest only lending was limited to 30% of total new residential home loans. This includes placing stricter limits on interest-only lending at Loan to Value Ratios (LVRs) above 80% and demanding stronger scrutiny and justification when lending at an LVR above 90%. However, this wasn’t the only change initiated this year. As of July 1 2017, both VIC and NSW Revenue introduced hefty first home buyers benefits. In NSW first home buyers are exempt from stamp duty for properties valued up to $650,000, and offered stamp duty relief for properties up to $800,000. In VIC first home buyers of properties valued up to $600,000 will pay zero stamp duty. Whilst, those first home buyers purchasing Victorian properties between $600,000 and $750,000 are eligible for concessions on a sliding scale. One of the first to record this change was the Australian Bureau of Statistics (ABS), who in their September Housing Finance review report, mentioned the growth of first home buyers in recent months, and remarked this was due to the changes driven by the New South Wales and Victorian governments. Later in October, National Australia Bank reinforced the ABS’ September report in their Q3 2017 Residential Property Survey. It found that first home buyers as of October accounted for 22.4% of new property sales, which was up from 21.1% earlier this year. Interestingly, since the APRA restrictions instigated in March, the amount of first home buyer investors fell to 13.7% (from 14.4% in Q2). These are the highest increases since September 2013. With housing affordability improving, it’s no wonder that the property market has had an influx of activity. The REIA report has described specifically how these changes have significantly affected first home buyers around the country with an increase of 57.7% in New South Wales, while Victoria has increased by 32.2%, the Northern Territory by 14.3% and the Australian Capital Territory which has increased by 20.0%. The number of loans increased throughout the country by 4.2% while the average loan size dropped. These increases show that the changes introduced by APRA and the Federal and State Governments have made a significant impact on first home buyers, who have seized opportunities presented to them and as demonstrated with the statistics, taken advantage of them. 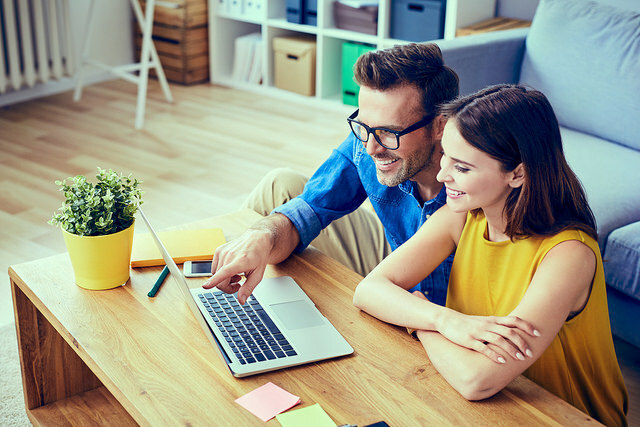 This development in the housing and property market has unlocked a unique opportunity for first home buyers and promises exciting things for the coming year.